A senior Daily Mail executive last night defended the paper's attack on Ed Miliband's father, headlined 'the man who hated Britain', but admitted that illustrating an online story with a picture of Ralph Miliband's grave was "an error of judgement". 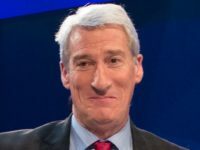 Miliband has said that he was "appalled" by the article about his father Ralph, a prominent Marxist intellectual, describing the headline – "The man who hated Britain" – as a "lie". The Labour leader said that his father, a Jewish refugee who fled to Britain to escape the Nazis and who served in the Royal Navy during the Second World War, had always loved the country which gave him sanctuary. 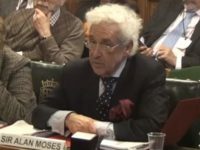 Appearing on BBC2's Newsnight, the Mail deputy editor Jon Steafel defended the article saying they were entitled to examine critically Ralph Miliband's views and the potential influence they had on his son. He accepted however that the publication of a photograph of Ralph Miliband's grave alongside the online version of the article had been an "error of judgment" and that it has been removed when the Labour leader complained. Labour last night called on the Mail to apologise for posting the picture, accusing the paper of publishing "smears". Steafel made clear that the paper stood by the article – which first appeared on Saturday – arguing that Ralph Miliband's writings showed that he was "very antipathetic" to the views and values of many British people. "His views on British institutions from our schools to our royal family to our military to our universities to the church to our great newspapers … what he said was that he felt that all of those things were bad aspects, were unfortunate aspects of British life," he said. "If you take those things together and you combine them with an espousing of a Marxist ideology, that in our view represented someone who hated British values." He added: "He was a supporter of the Marxist ideology which was being used to run governments in other parts of the continent and other parts of Europe which was responsible for an awful lot of terrible things, including millions and millions of deaths." He said that it was reasonable for the paper to highlight his views as he had played an important role in shaping his son's outlook and opinions. "Ed Miliband seeks to be prime minister of this country, he has made many speeches over the three years since he became Labour leader and in many of those speeches he refers to the story of his parents. 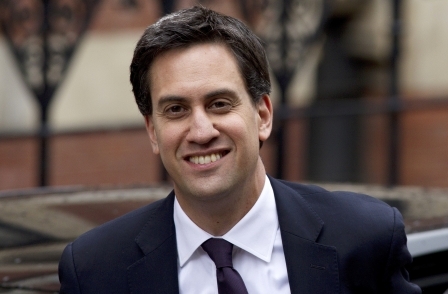 It is an important part of understanding who Ed Miliband is," he said. "If you are to understand Ed Miliband, who has told us he wants to bring back socialism to modern Britain, then you need to understand the values that shaped him." The Labour leader has said that he does not share his father's Marxist ideology. A party spokesman said: "The deputy editor of the Daily Mail tonight admitted that it was an 'error of judgment' to publish a picture of Ralph Miliband's grave accompanied by a crude pun. The newspaper should now apologise for this error of judgment. "We continue to believe that the article headlined 'The man who hated Britain' and a subsequent article which described Ralph Miliband's legacy as 'evil' were smears. The deputy editor of the Daily Mail showed tonight he could not justify either of them." Yesterday the Mail gave Miliband a right of reply publishing an article by him strongly defending his father, while at the same time printing alongside it a shorter version of its original article and an editorial making clear it stood by its story. 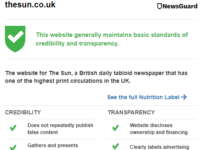 Today, the Daily Mail published four further pages of coverage on the story as well as an editorial in which it claimed Miliband's attack on the paper was "disingenuous". The paper said: "Nothing is more natural than a child’s love for its parents. "Indeed, Ed Miliband struck a chord with many readers by springing to his father’s defence after the Mail’s exposé of the latter’s political philosophy – a philosophy that underpinned incalculable human misery. "But while it is certainly astute PR for the Labour leader to present his complaint against the Daily Mail in purely personal and emotional terms, it is also a mite disingenuous. "For as he is aware, this is not just a personal issue. It is a fundamental question of ideology and enormous public interest." The Mail's assessment of Ralph Miliband was based largely on comments he wrote as a 17-year-old during the Second World War: "the Englishman is a rabid nationalist" and "you sometimes want them almost to lose (the war) to show them how things are". Aged 45, he wrote of his disdain for the British Establishment, saying it included: "Eton and Harrow, Oxford and Cambridge, the great Clubs, the Times, the Church, the Army, the respectable Sunday papers … the House of Lords … social hierarchies, God save the Queen." Foreign Secretary William Hague said it was "very understandable in any walk of life, not just in politics, that a son jumps to the defence of parents". "It is a fierce argument that is going on. 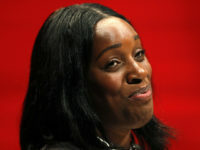 I don't know enough about Ed Miliband's father to weigh in but it is very understandable," he added. Hague warned against "jumping to conclusions about regulation of the press from one argument".